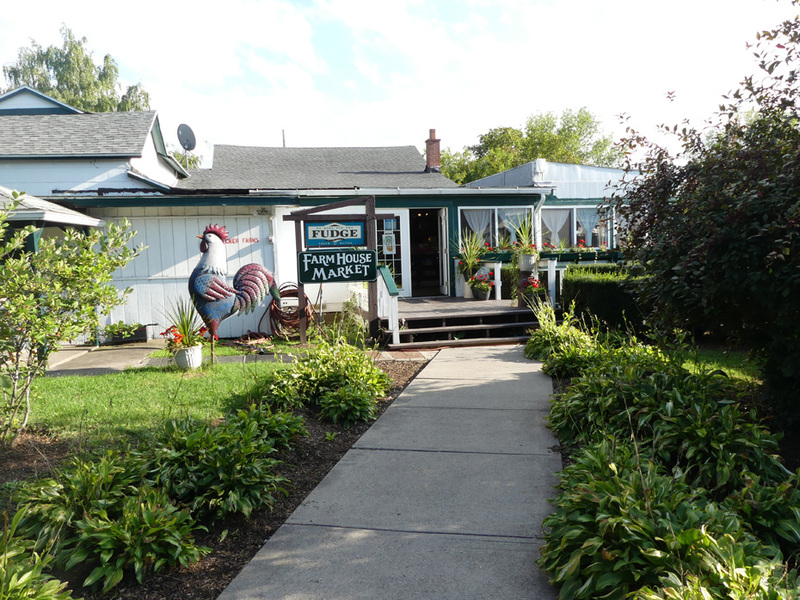 Becker Farms in Gasport, New York, just a short drive from Niagara Falls is the kind of place every community needs. Imagine farm fresh and U-pick produce coupled with locally produced beer and wine. Add to that rental cabin for a romantic weekend and all kinds of events and you have a perfect agri tourism spot. Becker Farms' roots go way back to 1894 when Frank and Augusta Becker settled here and began it as a small subsistence farm. They raised livestock and grew produce. Their daughter, Joyce Becker married Don Perry and continued the family farm. They added horses and cherry trees. The next generation is now represented by current owner Melinda Perry Vizcarra. Melinda is a Cornell University Agriculture School graduate who, with husband and partner Oscar Vizcarra, has moved it from a family farm to a destination. 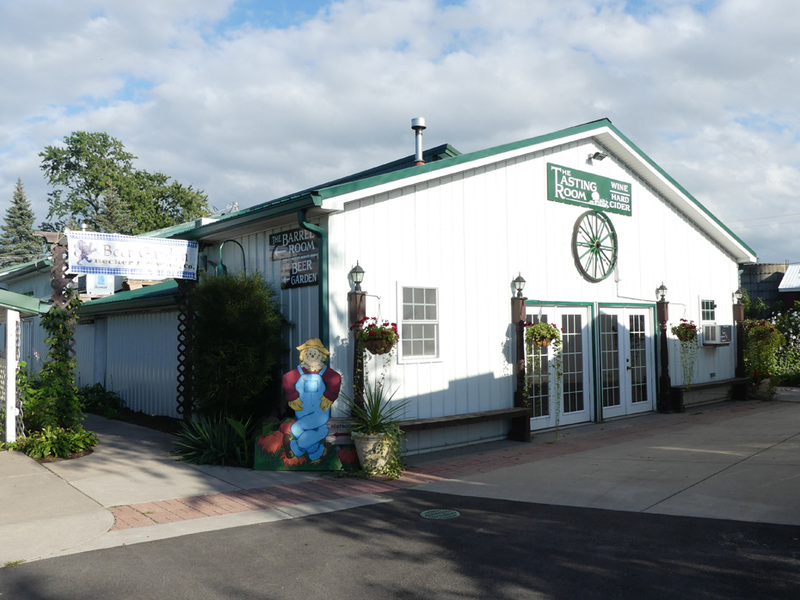 When we visited it a few months ago, there is now Becker Brewery and Pub, a winery and vineyard, a u-pick produce operation, hay rides, a petting zoo and a store and bake shop. The newest generation, Amanda and Andreas are continuing the process. 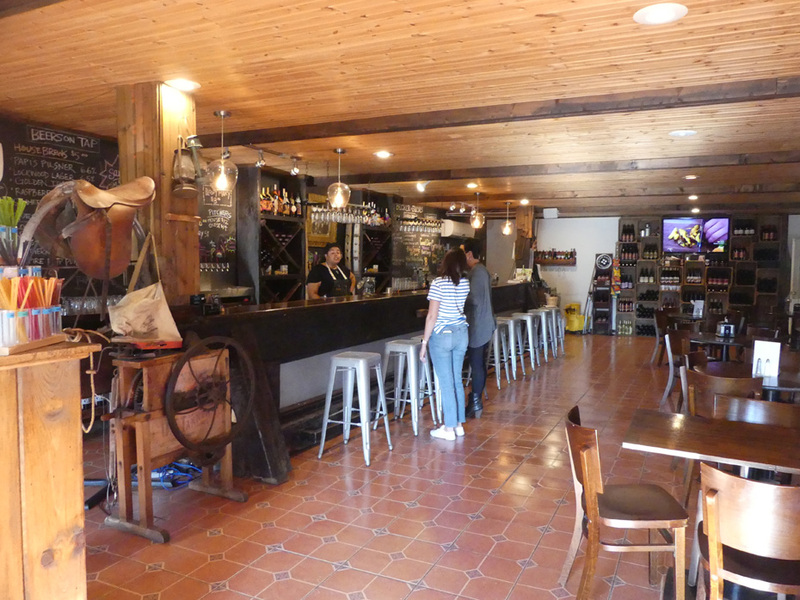 The brewery, producing micro-brewed beer or hard cider, and Vizcarra Vineyards, producing unique wines from raspberry, blueberry, strawberry and grapes, are their contributions. Amanda expanded beyond the farming to make it a real destination with the building of cozy cabins set between the orchard and the vineyard. Who could ask for a better location? The grounds themselves make it worth a visit. As soon as you enter, there are cute decorations telling you this is a farm and something more. You step through a rustic archway welcoming you to Becker Farms and Vizcarra vineyards. An antique tractor and a chain saw carved Smoky the Bear style make you smile. A wrought-iron bench with tractor seats offers a place to rest. Everything is set far enough apart that each seems to be a separate entity. There is folk art everywhere. A person sized chicken greets you in front of the Farm House Market. Inside the apple cider donuts offer a hint of dessert to come. A cutout farmer/scarecrow greets you on a bench next to the Tasting Room. To add even more to the mix, there is a pumpkin fiesta, goat races, hayride through the forest, Becker Mountain mazes, barnyard twister and slingshot on the mountain and around Halloween, a ride on the haunted forest hayride and the "bio-tech gone wrong" for kids of all ages. For the older visitors they have live music on Saturday and Sunday nights. Dinner the evening we visited was a real treat. 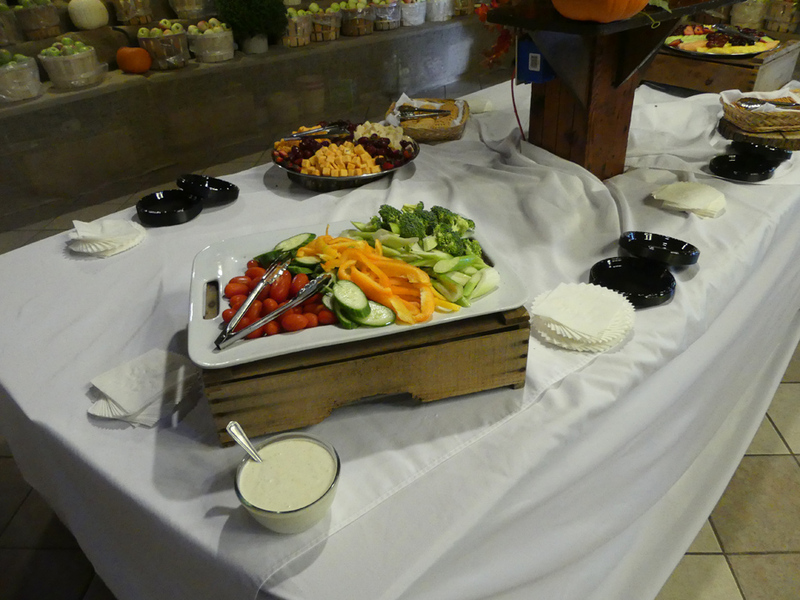 Appetizers were set up in a lovely barn style area. There was every kind of fruit, veggie and cheese you could want. 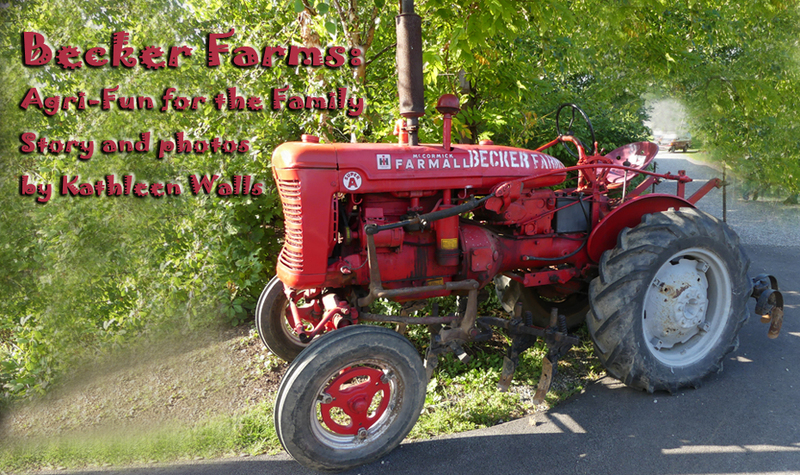 The wall was adorned with farm implements. Baskets of apples and pumpkins set the mood. Dinner was served buffet style with beef, chicken and lots of other choices. 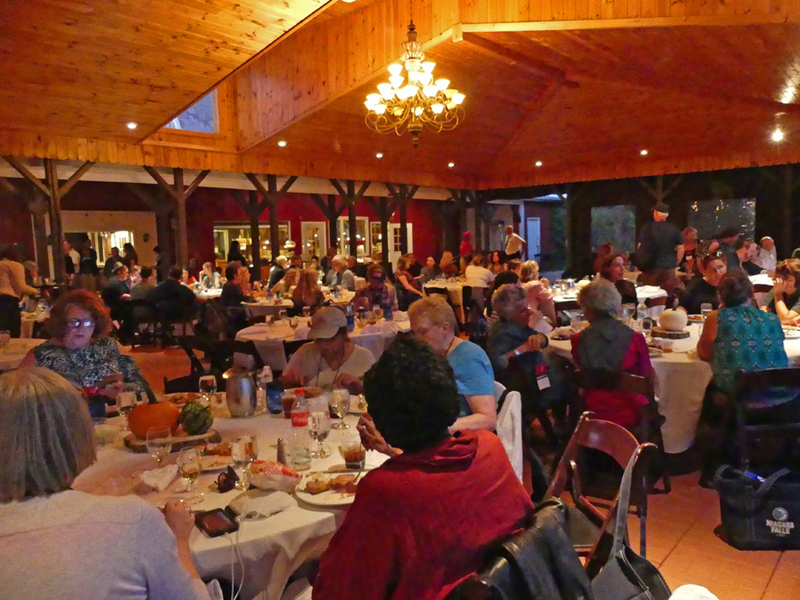 We ate in a wood-roofed open-sided pavilion to the strains of a relaxing band. We also got to meet the owners and learn a little about their wonderful lifestyle. This is the upscale end of agri tourism with something for everyone.